A new Doctor needs to grab his audience immediately and that isn’t always easy to do with the action-packed opening we were going to have at David Tennant’s exit. 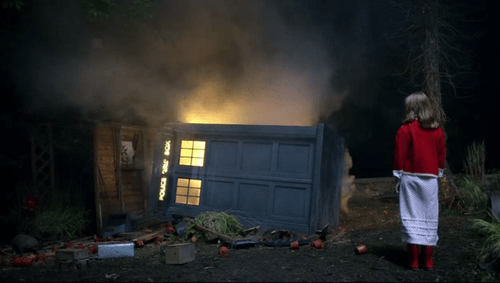 As 10 regenerated, the TARDIS was rocked by explosions and fire and the newly regenerated Doctor needed to get it under control. He crashes in 1996 Leadworth and meets a young girl named Amelia. He was immediately funny, snarky, quirky, self-deprecating and intriguing. In those 60 minutes, Smith nailed it and when he stepped through the hologram and proclaimed to the Atraxi “Hello, I’m The Doctor” we knew we were in safe hands. The bow tie became cool on that fateful Saturday afternoon. Hinting at the dark aspect of his personality that we came to see a bit later, it featured the fantastic Toby Jones as his one and only appearance as The Dream Master. Sadly, the character was underused which to many people renders the episode in some ways pointless. It is dark, surreal and hints at The Doctor’s concerns already that he will one day lose his friends. Jones has a lot of screen presence and both he and Smith complement each other here. For me, it looks back to some of the strange unnerving episodes of the classic series when story was central to the episode. It’s weird, but it works and feels like classic Who – much like Matt Smith’s entire tenure. How do you create an episode not set on Earth but still make it feel Christmasy? Easy… Charles Dickens. 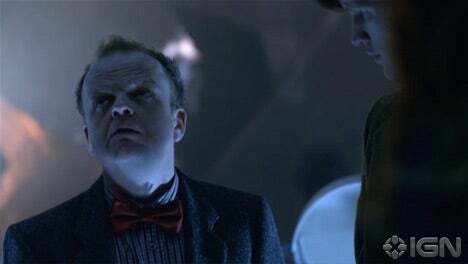 Where most adaptations of A Christmas Carol don’t mention the source material, Doctor Who decided to go the other way for Smith’s first Christmas special. Noticing a steampunk world with a Dickensian villain in Michael Gambon’s Kazran Sardick, The Doctor decides to go all Ghost of Christmas Past on his backside in order to encourage him to save the ship on which Amy and Rory are located and stop it burning up in the atmosphere. It’s largely a heart-warming story as we reveal the depth of why Kazran has become a cold-hearted b*stard yet he redeems himself in the end; perfect for Christmas Day viewing and Smith has already settled into the dark fairy tale persona of the series at this point. The most popular and most terrifying enemy of the modern era of Doctor Who is – unsurprisingly – not the Slitheen, but the Weeping Angels. It is surprising in its own way because all they do is send you back in time and feed off of the energy. We’d had a couple of episodes building up to the expected leaving of Amy and Rory. The Doctor knew it was coming, but he was expecting them to grow weary of the nomadic lifestyle. This episode (aside from the Statue of Liberty) was well constructed in most ways, it was tense, scary and those closing moments, even if you did not like Amy, are heart-wrenching. 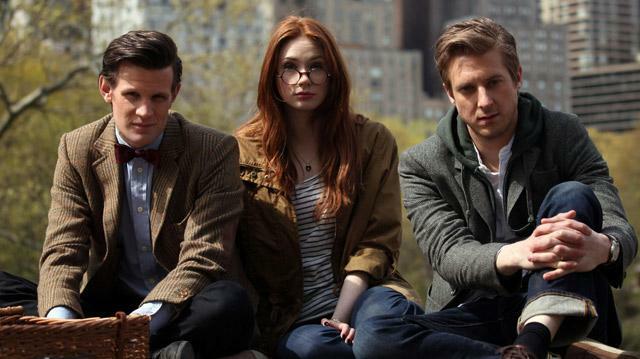 I listed their leaving as one of my top Smith moments, but the episode is more than the departure of the Ponds. Could this have been it? Could this have been the moment we found out his real name? It had Clara, River Song, Richard E. Grant reprised his role as The Great Intelligence and at the end came the shock revelation of a lost Doctor that would be played by John Hurt in the 50th anniversary episode. This was the culmination of several plot threads, particularly revealing the nature of Clara’s Impossible Girl moniker. What a way to sign off it was – we visit Trenzalore, apparently somewhere in the far future following a horrific war in which The Doctor dies. 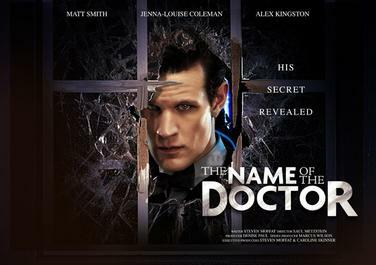 The Great Intelligence has brought The Doctor there to open the tomb so that he may be erased from history. It’s down to Clara to jump into the time stream and put it all right. That is when we discover the secret that The Doctor has buried for so long. So, that’s my favourite five episodes. Thoughts? other suggestions?